Special Containment Procedures: Having shown no signs of its influence spreading further than the recorded distance, as long as SCP-981-2 remains within SCP-981-1 it is required only to be stored in a standard artifact room in a locked copper box of at least 1cm thickness. Access to the SCP is by application for level 3 and above only. If SCP-981-2 is to be removed from its canister it must be in a room at least 4m x 4m containing no physical media of any kind, and care must be taken during transport to ensure rooms adjacent, above and below are also cleared. Any memory sticks carried by Foundation personnel should also be removed before entering the room as a precaution. Any media found to contain evidence of potentially Keter-class SCPs must be quarantined at once. Description: SCP-981 comprises of two parts. SCP-981-1 is a steel film canister dating from the late 1920s, with signs of damage concomitant with its apparent age. It is labelled in Spanish as having been copied by the Buenos Aires Cinematographic Laboratory, with the handwritten title ‘236 - Metropolis’. Other writing on the label is too worn to read, but appears to be a name and a short note in a different handwriting. Inside the canister is SCP-981-2, a reel spooled with Kodak Panchromatic nitrate film, on which is a 16mm reduction negative of the 1927 Fritz Lang film Metropolis. The film and the canister it was found in show no unusual markings or indications that they are anything other than a mass-produced stock for distribution to cinemas in the late 1920s. When both components of SCP-981 are placed in proximity to another audiovisual storage medium containing a feature film, the data held on the secondary medium shows alterations not in accordance with any previously known form of the film. Qualitative testing showed that any time spent within 1.93m of the canister is required for effects to show on the test media. When the film is removed from the canister neither component produces the anomaly. Tests on abstract or animated films featuring no live action actors has proved to have no effect. The canister was seized from the museum by two agents of the Foundation posing as officers of GSG-9, stating that the film’s contents were evidence. It was secured in its current site and carefully examined by comparing it to the 2010 restoration edition. The film’s ending featured an extra scene, approximately forty seconds long, which was cut between the robot Maria being burned at the stake and the final cathedral scene. It features Fröhlich’s character Freder walking through an alleyway and finding the end walled off with a white wooden door. He experiences some surprise at the exit being blocked, but opens the door and walks through. Then follows a text plate reading ‘My Lord! I’m near the Cathedral!’ and the film then continues as normal. The door shows similar properties to SCP-249. Both elements of the SCP were discovered on ██/██/██ by a Foundation employee at the Deustsche Kinemathek film museum in Berlin during an unofficial visit following a meeting with the museum's owners regarding the purchase of storage equipment. During a conversation with a curator regarding storage techniques it became apparent that the print was found in close proximity to the original site of the ███████ incident in ████. The curator described it having been found on a shelf in a basement of a building previously used as a youth hostel, resting on top of a copy of the 1931 film The Bad Sister. 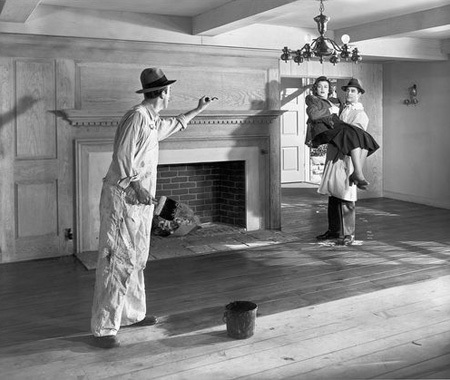 This had not been retained by the museum as it was believed to be a modern hoax, as Bette Davis’ character was seen in the final reel of the film to violently assault the character played by Sidney Fox at knifepoint. Dr ██████: What did they do with it? Agent █████: He said that they’d disposed of the last ten minutes and used the rest for restoration practice. I asked if they still had it but he said it had been burned. He’d said ‘It wasn’t worth keeping, disgusting filth like that.’ And suggested that it had been put there by youths staying at the hostel for a prank. Dr ██████: Did he describe what had been on the tape? Agent █████: He said it was the same as the original up until the point where Davis’ character is normally propositioned by her sister’s fiancé, instead she goes through a desk drawer until she finds a piece of white rock sharpened at one end like a piece of flint, and is seen breaking into her sister’s room and making hundreds of tiny cuts all over her body whilst smothering her with a pillow. The next shot is of an unharmed Sidney Fox leaving the room and smiling at the camera as the screen fades to the credits. Dr ██████: Are you sure he said white? Because that description matches SCP-034. Agent █████: Yes, he stated it was white. So thirty-four's part of a set. Further experimentation was performed under strict criteria: That any media showing evidence of memetic or visually dangerous SCPs be immediately placed under full security control pending destruction, and that the media be viewed by a member of D-class personnel under observation by a Level 1 guard. The content of the film will be fully described to the guard who is under orders to cease playback and/or terminate the D-class viewer if it is decided that it is unavoidable. A frame from the 1927 film ‘College', starring Buster Keaton. Shortly after this shot Keaton throws the bucket over the two actors, covering them in a black viscous liquid. He then breaks down weeping before [DATA EXPUNGED]. Media: ‘It’s a Wonderful Life, (1946), celluloid film. Now designated SCP-981-A. Details: Instead of stating that ‘Every time a bell rings an angel gets their wings’ the character of Clarence pats Jimmy Stewart on the back and says ‘It’s only eight seconds, it’ll hardly hurt a bit.’ Instead of running back to Bedford Falls Stewart’s character enters what appears to be a Mayan pyramid, where he spends three minutes running from room to room until he finds a room which has a slight green hue despite the black and white film stock. There is tiny writing all over the walls. He picks up a small rock and starts scratching out sections of the text, and with each scratch the room shakes and dust falls from the ceiling as if from a seismic event. He continues scratching as the screen fades to end credits. Media: ‘Manos: The Hands of Fate’, 1966, VHS. Now designated SCP-981-B. Details: During the denouement when The Master confronts Michael, instead of finding Michael and his family hiding in a room they are all [DATA EXPUNGED]. The Master drops onto his knees and begins praying at an area of the room just outside the scope of the camera. Just before the screen fades to black the area around the Master darkens as if by a negative spotlight and he cries "It's just as I expected!" before falling to one side, blood streaming from his eyes and nose as the film fades to credits. Media: ‘The Dark Knight’, 2008, DVD. Now designated SCP-981-C. Details: The scene where Heath Ledger’s Joker is hanging upside down having been caught by Batman runs as in the original theatrical edit, but at the end Ledger looks directly at the camera and says ‘You don’t realise, do you? Two thousand? You haven’t even started.’ He then pulls out a bright blue █████████ and a knife, runs the blade across his throat and dips the █████████ in his blood. He then becomes gradually transparent and fades from view as Christian Bale’s closing speech originally used at the end of the film leads into new credits, which list every cast and crew member's name as ‘Youhaven’tevenstarted’. Addendum: Aside from the clear danger that this SCP poses to the security of the Foundation’s records, it clearly has the ability to transfer evidence of clearly undiscovered SCPs. As a research tool its potential is great, and a qualitative system of testing must be established. The careful use of this could be of great benefit to the Foundation, but to reiterate: Any media found to contain evidence of recognised or potential memetic or Keter-class SCPs must be quarantined at once, and no contact with other media based SCPs should be attempted with highest level approval.